The second India-U.S. Health Dialogue concluded in New Delhi. The bilateral dialogue was jointly inaugurated by Shri C K Mishra, Secretary (MoHFW), Dr. Soumya Swaminathan, Secretary (DHR) and DG (ICMR), Mr. Garrett Grigsby, Director of Global Affairs at U.S. Department of Health and Human Services (HHS), and Mr. Mark Anthony White, Mission Director, India, U.S. Agency for International Development (USAID). Representatives from the U.S. Department of Health and Human Services Office of Global Affairs (OGA/HHS), Centers for Disease Control and Prevention (CDC/HHS), Food and Drug Administration (FDA/HHS), National Institutes of Health (NIH/HHS) and USAID interacted with their counterparts from the Ministry of Health and Family Welfare (MoHFW), Ministry of Science and Technology (MoST), and Ministry of Ayurveda, Yoga and Naturopathy, Unani, Siddha and Homoeopathy (AYUSH) to encourage bilateral collaboration across several aspects of health pertinent to both nations. Addressing the participants, Shri CK Mishra, Secretary (H&FW) said that “India and U.S. have a long history of health cooperation which has now started converging on the platform of the India-U.S. Health Dialogue. By institutionalizing the dialogue, we have reaffirmed our commitment to work together in the areas of health, for better addressing the health challenges faced by our people in both countries, such as cancer, R&D, communicable and non-communicable diseases, traditional medicines, access to medicines, food and drug regulation, antimicrobial resistance, etc. It is mutually beneficial for us to continue to engage on these and other health issues, to not only address our health challenges but to also, in the process, contribute to global health objectives and outcomes.” In its most comprehensive iteration yet, the 2nd Health Dialogue touched upon several issues of bilateral importance – communicable and non-communicable ‎diseases, health systems, biomedical research and low-cost innovations, science and health data, food and drug regulations, traditional medicine and access to medicines. Participants reaffirmed the commitment to strengthen scientific, regulatory, and health cooperation between the two nations and the global community; highlight priorities and ongoing activities, and exchange information on policies, regulations, research, technologies, programs, activities, and practices. 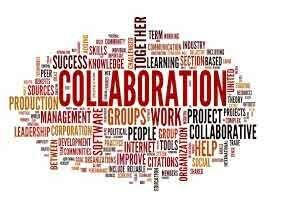 The final goal is to identify emerging areas of mutual interest and facilitate the development of new collaborations. In addition to the discussions at the Health Dialogue, the U.S. delegation visited several Indian institutes in New Delhi, Mumbai, and Bengaluru to highlight collaborations to control and manage HIV/AIDS, tuberculosis, antimicrobial resistance, cancer, acute encephalitis syndrome, mental health, vision and traditional medicine. The Health Dialogue’s closing ceremony was attended by U.S. Charge D’Affaires Ms. Mary Kay Carlson, who said, “The strong showing from ministries and agencies on both the U.S. and Indian sides shows the level of commitment to this relationship. We look forward to continued strong cooperation in the scientific, regulatory, and health sectors – not only between our two nations but with the global community.” Discussions will be strengthened at the next U.S.-India Health Dialogue in Washington, DC.